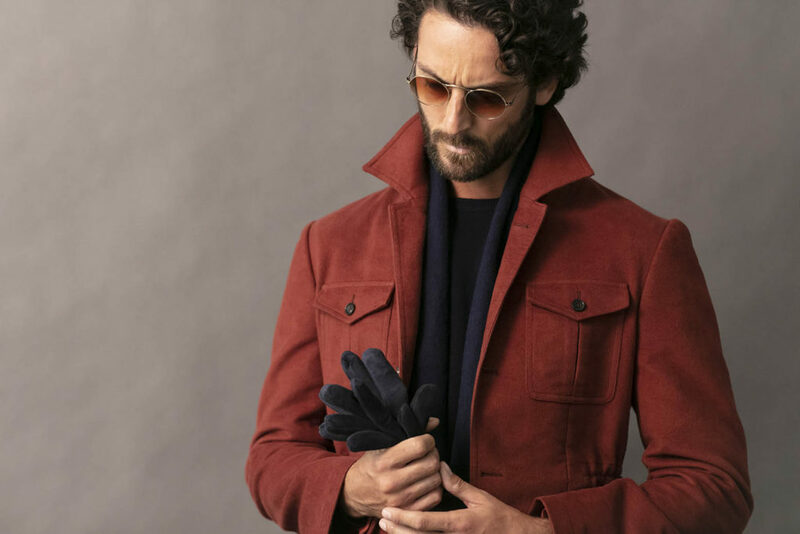 As leaves start to fall and colors start to change, we’re taking inspiration from fashion’s biggest design houses and compiling our top men’s fashion trends for fall. Breezy pastel linen is out; high-quality knits are in. We’re shifting to darker colors, more layers, and new ways to be creative with clothing. We’ll teach you how to layer like Balenciaga, how to build a utilitarian wardrobe like Gucci, and how to rock a bold look like Versace—and we’ll teach you how to put your own distinct stamp on these looks. Fall/Winter runways this year featured a fierce dedication to the concept of layering. Over-layering. So much layering with so many garments that models appeared five times bigger than usual. Reviewers deemed this look “protective” in nature, with Vogue Hommes describing this concept as “clothing as armor.” Whether you’re venturing through a rough landscape—literally or figuratively speaking—or you’re simply fascinated by the layered aesthetic, this is one trend that’s easy to replicate. 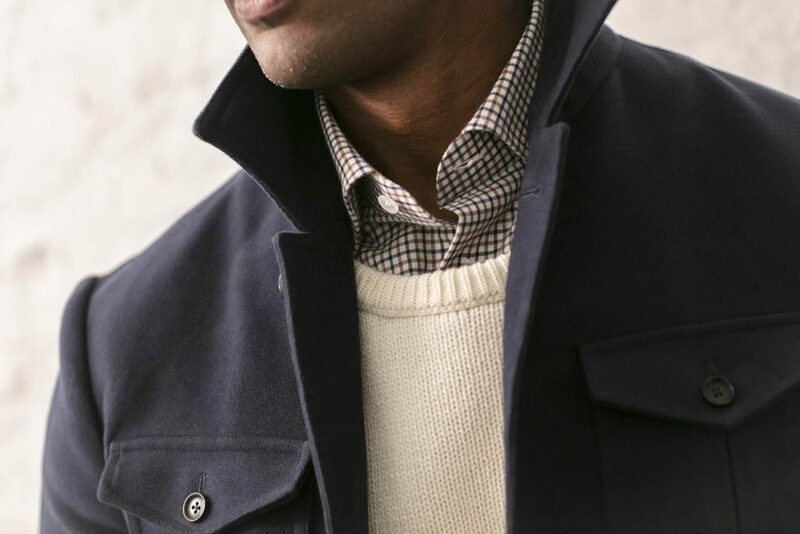 If you’re looking to emulate the super-layered look à la Balenciaga, start with a lightweight knit shirt and throw on a navy field jacket followed by a camel wool overcoat. Experiment with a shearling coat or a long leather trench in place of the overcoat. These contrasting textures are prominent in 2018 lookbooks and add a nice variety to your standard wool outerwear. Hugo Boss topped suits and tailored blazers with their traditional grey oversized trench. Grab a fantastic trench coat in a neutral tone and mix it with other items already in your closet for a quick-and-dirty layered look. 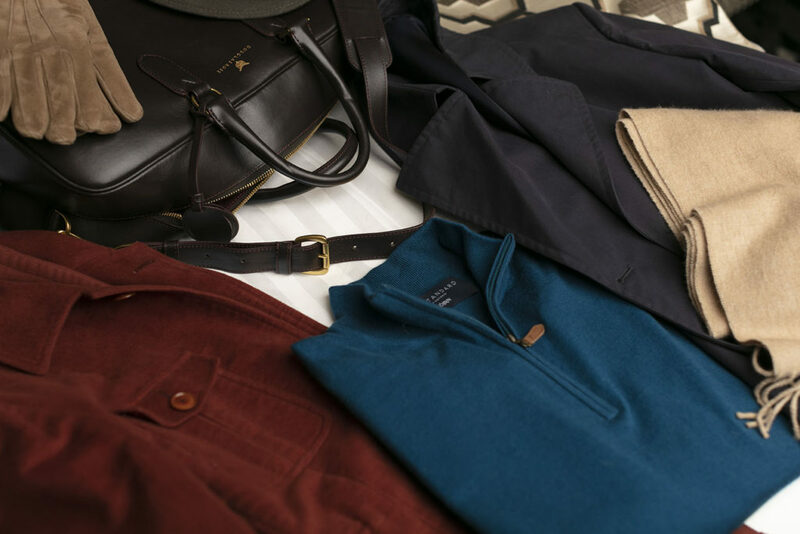 Infuse your professional wardrobe with subtle layering. Try wearing a well-fitting double-breasted suit, like those featured throughout the Armani collection, or a three-piece suit. The additional fabric in both of these classic styles gives the same layered illusion on a smaller, more wearable scale. The fashion realm is experimenting with utilitarian styles this fall, as many runways featured über-functional clothing from various iconic industries. This trend may be tough for the everyday gentleman to emulate—the Calvin Klein fireman’s jacket, for instance, is a tricky look to pull off in daily wear—but we’ve extracted a few key wearable elements. Purchase items in deep earth tones, especially browns. From Fendi’s chocolate double-F logo to brown suits from Zegna and Gucci, shades of chocolate and tan are in the lineup for 2018. Try wearing a pair of deep brown chinos with a lighter neutral crewneck pullover for a distinctive business casual look. Wear a jacket with visible functional pockets. Emulate Louis Vuitton by throwing on a military-style field jacket. You’re going for a look of rugged functionality, tempered by a hint of elegance. Experiment with iconic functional footwear. 2018 is the year designers chose variations on western-inspired boots and even laced hiking boots—thank you, Gucci—to send down their runways. Take this trend to the street by donning a pair of pointed leather shoes or low boots. Runways sent a clear message this year: More is more. Whether that means donning six coats or wearing a suit covered in sequins, men are inspired to be bolder with their fall fashion choices. There’s a sense of irreverence with this trend that’s both electric and captivating. While you may shy away from neon and rhinestones, we’ve identified a few ways to make a bold statement. For a formal event, choose to wear a statement jacket with broad, accented shoulders instead of your classic black tuxedo. A merlot velvet dinner jacket fits perfectly within the bold trend while still looking elegant and polished. Get some plaid in your closet ASAP. Bright red checks were everywhere in collections for fall; for a more wearable alternative, try wearing a tartan dinner jacket or a tasteful suit in grey glen plaid. 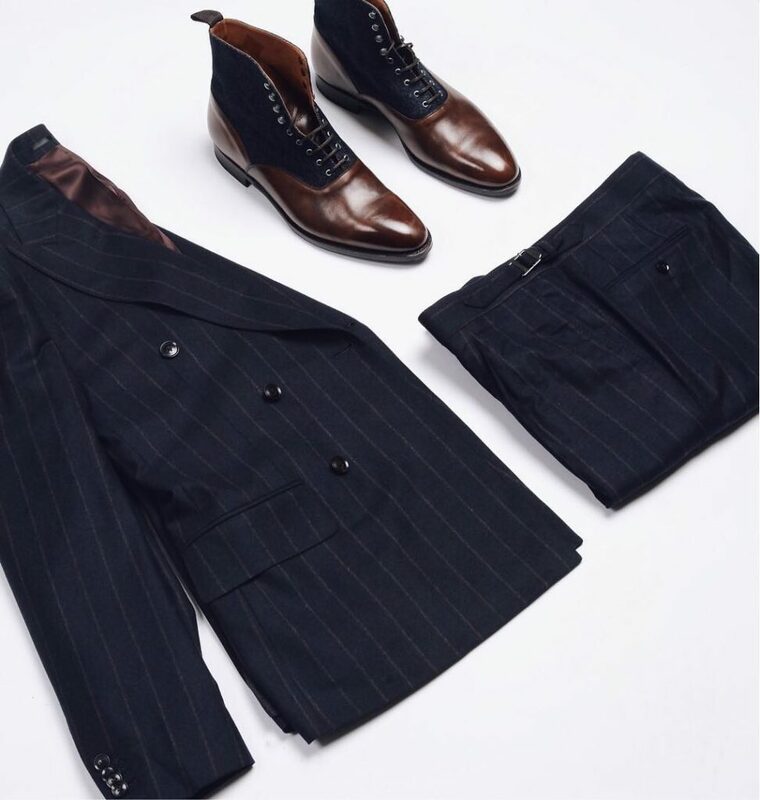 Choose pinstripes or narrow, elegant chalk stripes. Versace and Alexander McQueen both explored this iconic suit fabric for their Fall/Winter 2018 collections. It’s a classy way to bring pattern into your professional wardrobe. This fall, we’re entering a new and exciting space with men’s fashion. It’s the perfect opportunity to breathe new life into your wardrobe and create clothing combinations you never thought of before. Take inspiration from the Fall/Winter collections of top designers and experiment with high-impact layered looks, functionally-inspired garments, and bold fabrics that hearken back to our colorful past. Go forth and make these trends your own. Fall is the perfect time to revamp your wardrobe with new key pieces that will make an impact. Whether you’re looking for the perfect layering piece or a statement item, you’ll end up with fashion gold by scheduling an appointment with your Knot Standard personal stylist. 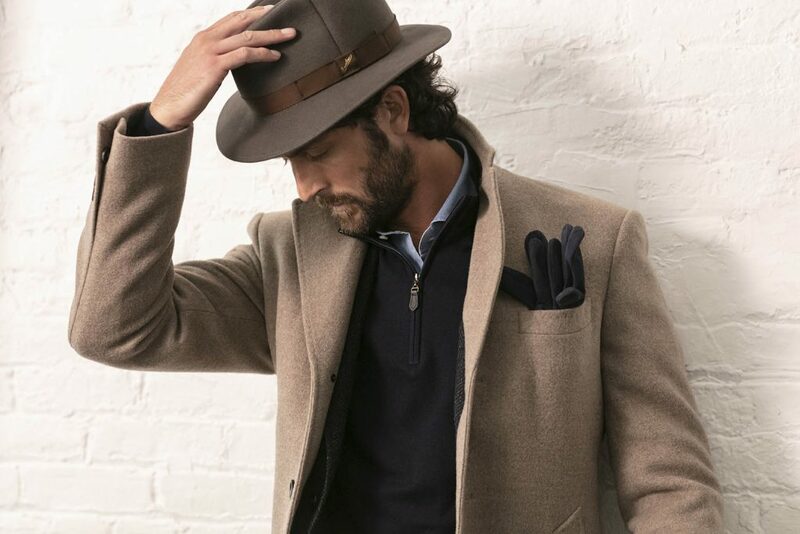 We create custom menswear that’s both classic and trend-worthy and are ready to work with you to create pieces unlike anything you’ll find in stores. Let’s bring these fall trends to life.